In the recent years, many college students from around Europe have shown an interest in Iran as they travel to different provinces and go back with experiences that usually turn out to be quite contrary to the stereotypes that foreign media displays about Iran. The fact that Iran also happens to be at the front news around the world when themes like The Middle East, Islam, democracy, The Shia, nuclear energy, human rights, women, terrorism, hijab, jihad, etc. are discussed is also a major factor that draws many people here to explore and find out for themselves. On April 17, a group of The Islamic Research and Information Center’s (IRIC) staff met with a number of La Conférence Olivaint's Members at the Encyclopaedia Islamica Foundation. The purpose of the meeting was to provide a short introduction about Islam-as a religion per se- and to exchange ideas about it. The French students explained that every year, their organization plans a trip to a country as they had an interest in exploring different cultures, religions, societies, etc. around the world. They came from all over France with different majors. Ms. Shams, a university instructor and one of IRIC’s staff, had prepared a power-point which explained the basic precepts in Islam and demonstrated figures about Muslims around the world. 2) The other means to engage in war/conflict in order to defend oneself when attacked, not to attack or start a conflict. This definition is totally the opposite of what western media propagates which constantly associates Islam with violence. 1)	Arabic is the language of The Quran which from a Muslim’s perspective is the most complete language. 2)	Praying in Arabic could be a way of uniting all Muslims around the world especially when they gather in Mecca for hajj and people of different color, race and rank all pray and praise Allah in one language. There are certainly other reasons that may not be known yet; however, there are no restrictions to communicating with Allah (God) in any other language at other times. Ms. Shahmoradi mentioned that ‘you can be Muslim and pray in French’ at times when you’re not doing the formal ‘salaat’. Ms. Shahmoradi also added a few points about the commonalities that exist between Abrahamic religions and the emphasis that Islam places on reasoning before believing, especially from a Shi’i point of view. Although Dr. Safavi gave no mention about political issues, they asked questions about the current unrest in Muslim regions and whether Islam has anything to do with it. It was from this point that the session started to heat up when most of the attendants started partaking in the debate. The Iranians and the French both agreed that extremist ideologies and movements exist everywhere and followers of every religion around the world might happen to engage in activities that have nothing to do their faith. They also consented to the fact that one must differentiate between what western media propagates about Islam, Islam as a religion and those who follow it. A few questions were also asked from Mr. Taromi about the rights that women have in Islam. After an hour or so, Ms. Shahmoradi posed a question that created a stir among all of the French students till the end of the session. Regarding the stress which The French government places on ‘secularism’ and secular values, the topic of hijab for women in France is still an unresolved one. Ms. Shahmoradi asked how they thought about it and where the problem would arise if the French government could modify its secular policies in such a way that would permit people to practice or demonstrate their religious beliefs in academic/governmental institutions as well. Most of them confirmed that since France accentuates a secular lifestyle and a secular system, it does not favor any ‘religious symbols’ in schools that would carry a religious message; for example, they mentioned that Christians and Jews do not also have the permission to demonstrate any necklaces, rings, etc. that have a ‘religious’ or ‘sacred’ meaning; in other words, secular values has no affinity with ‘the sacred’ and where the ‘intellect’ is, talking of religion seems to be an ‘unintellectual’ choice. Some of the participants even stated that if one decides to live in France, he/she must yield to ‘a French lifestyle’ and that means surrending to a secular one! In the end, since none of the parties (neither the French nor the Iranians) would accept the others’ logic, Dr. Safavi announced that since time is up, let us ‘agree that we disagree'. Despite the very different perspectives that both sides had, emails were exchanged and that meant an interest in further communication. Finally a number of booklets and DVDs about Islam and the Qadir cermony were distributed before we said goodbye. To conclude, although both the Iranians and the French had the impression that “not many of our questions were answered”, the need to work more on bridging the gaps and misunderstandings between both worlds were totally felt. مدیریت فروشمشاوره تبلیغاتبازاریابی فروش . مشاوره بازاریابی آموزش بازاریابیمشاوره بازاریابی. مشاوره تبلیغاتمشاور مدیریت management مشاوره مدیریت. مشاور مدیریت management مشاوره مدیریت. خدمت مشتری Customer Serviceخدمت مشتری مشاور مدیریت . 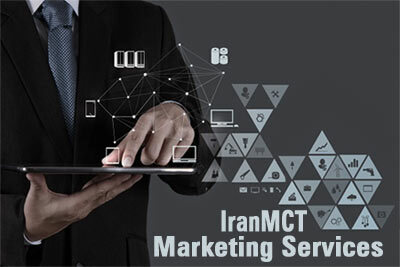 IranMCT Business Management ConsultantBusiness Consultant. مهمان نوازی مدیریت هتل مدیریت. انواع برندبرندینگ برندسازی branding مديريت و مبانی . بازاریابی آمیختهآميخته یا آمیزه بازاريابي 21P's of Marketing Mixبازاریابی. اندرویددانلود نرم افزار اندرویدنرم افزار اندرویدی. دانلود اندرویددانلود رایگان بازی اندرویدandroid نرم افزار اندرویدی. کلینیک کاشت مو پيوند مو کاشت موکلینیک کاشت مو . موسسه حقوقیمشاوره حقوقی وکیل پایه یکوکیل . زرع الشعر زرع الشعر في طهران ایران زرع .